On the heels of the International Year of Astronomy 2009, celebrating the famed peek into the cosmos through Galileo's first telescope, the question arises: What is next for science education and outreach? This volume is a resource for anyone looking to learn from or to reminisce about the year the world celebrated four hundred years of astronomy, and serves as a blueprint for future education and public outreach programs. 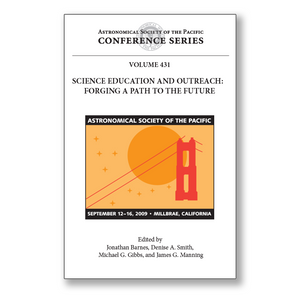 The Astronomical Society of the Pacific (ASP), founded in 1889, increases the understanding and appreciation of astronomy by engaging scientists, educators, enthusiasts, and the public to advance science and science literacy. Visit www.astrosociety.org for additional information regarding the ASP and how you can join the Society and support the cause of improving science literacy.